Love vinyl? 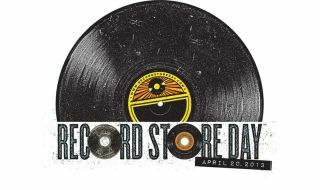 Then you probably loved Record Store Day. It was time for us to dig out the MusicRadar passport again in April, we we headed to Frankfurt and hit up Musikmesse 2013. Away from the show we picked out 10 of the best iOS DAWs and workspaces, while we also celebrated Record Store Day by highlighting 40 of the best exclusive vinyl releases. On a more historical note, Son Volt's Jay Farrar picked his 10 essential country albums, and you lapped up our gallery of some of Eric Clapton's greatest guitars. In the wider musical world we said goodbye to American folk musician Richie Havens and Daft Punk released a little single called Get Lucky, which quickly turned into the mega hit of the Summer. Speaking of hits, here are some of MusicRadar's biggest ones from April. "There was a fresh vibe to the early country records; those musicians would try anything."